Sciarappa Construction is a Licensed Ohio General Contracting Company with the sole purpose of providing a quality, stylish and efficient home remodel while eliminating the stress and worry for our clients. Since 2006, Sciarappa Construction has been remodeling kitchens in Avon, Avon Lake, and the Greater Cleveland, Ohio area. The Sciarappa Construction brand kitchens are designed with exquisite cabinetry, countertops and flooring. 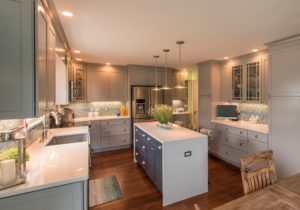 Most importantly, our creative quality and premier-level craftsmanship leave our clients and homeowners excited about their kitchens and “Heart-of-Home” living space! Increase your home value with a Sciarappa Construction brand kitchen remodel. Your kitchen is the single most important room in your home for return on investment. The kitchen is the best place to start home remodeling, whether you are preparing your home for sale or ready to perform updates to improve the aesthetic value and energy efficiency of your home. Even if you just want your home to be more livable for social gatherings, the Sciarappa Construction brand kitchen can be designed to be space conscious, well-lighted, and inviting to your guests. If your home is on the market, statistics in homes sales prove that 75%-100% of kitchen remodeling expenses are recovered when your home is sold. 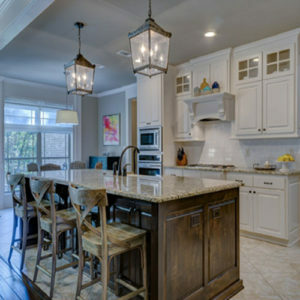 Treat yourself and your guests to a luxurious and modernized kitchen for family functions and socializing. Make your time in the kitchen more simplified by creating space and organization. Enjoy moving about freely in a kitchen design to accommodate your needs! The Kitchen truly is the heart of your home. Your kitchen is the most social room and has a definite impact on your quality of living, comfort, and lifestyle. The Sciarappa Construction brand kitchen remodel is designed to meet your daily needs, goals, and desires. 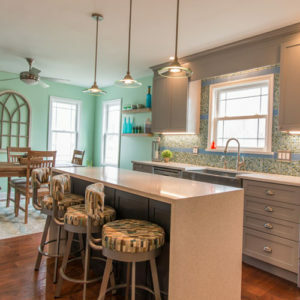 Our team of home architects, designers, and craftsmen work with you to assist in layout, planning, and offer advice on how to get the most out of your kitchen renovation budget. Sciarappa Construction is located in Avon Lake, Ohio and has been in business since 2006. Sciarappa Construction is a family-owned and operated full-service construction company. Our general contracting crew has over 40 years of combined experience in remodeling homes within the Avon, Avon Lake, and Greater Cleveland, Ohio areas. Sciarappa Construction is located in Avon Lake, Ohio and is a general contracting company specializing in construction for Kitchen Remodeling, Bathroom Remodeling, Room Additions, and Finished Basements.